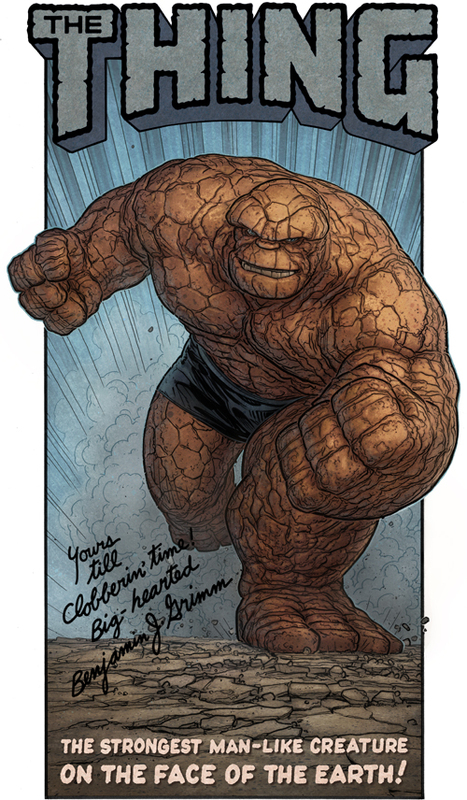 The Thing is an 11"x17" ink drawing, coloured digitally. The piece was done for Joe Kilmartin, a knowledgeable comics and pulp culture enthusiast of The Comic Book Lounge and once upon a time, Dragonlady Comics in Toronto. I have enjoyed frequenting Joe's College Street shops for many years. 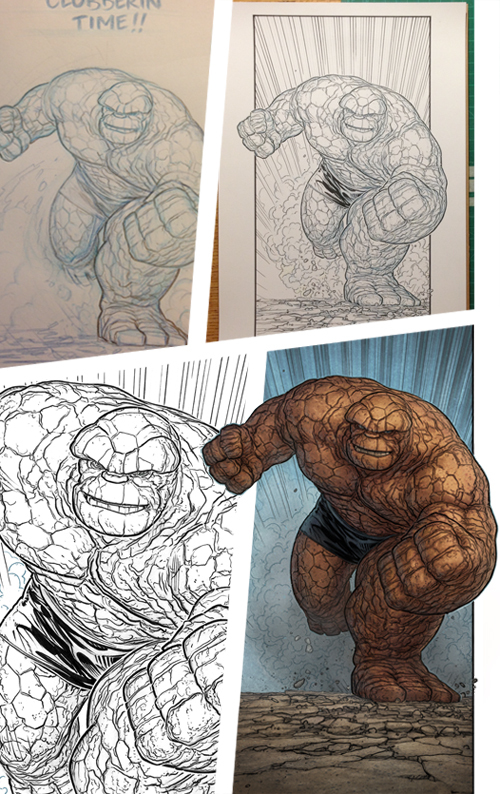 One of my favourite Marvel characters, The Thing, has always been a popular choice when sketching at conventions or warming up at home. I'd done a rough of Mr. Grimm twisting up a lamp post, an element that may still end up in this image as an overlay. The copy(text) in the top image was all lifted from different sources (a couple of Kirby Pin-ups mostly) and modified. Loving those effect lines in the bg, really add's to the speed and velocity of this monster coming at you. Amazing. Texturing is great and I love the forced perspective. Great job Alex! Always loved this one. It's alomost as good as John Byrne's version. I want to thank you again and a thousand times again for this piece, Alex! Absolutely beautiful. Ha! John Byrne wishes he could draw like this.